A daycare center in Alabama has stopped operating, at least for now. The reason is the mold found in the building. The Child Development Center on Mill Road was particularly that daycare center forced to shut down. It was closed earlier this week to give way to the removal of the fungus. However, it was discovered during the remediation process that a problem in the building could cause the same trouble in the future. And so, officials set out to fix it. There were three kinds of the said fungus found in the building. It was said that the elimination of them and the repair of the structural problem would take nine months to complete. Only when it is all done the center will reopen. “Officials with Redstone Arsenal have closed a daycare facility over mold concerns. 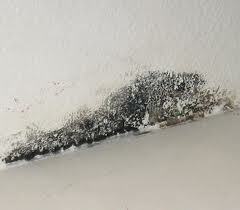 There are so many types of mold. Some are more toxic than the others. However, all of them pose a threat to health as even the types considered as non-toxic could trigger allergies and asthma attacks. Given that, you must always be watchful of mold signs. And as soon as the fungus is confirmed, you must quickly remove it to prevent worse effects on health, structure and expenses. To do that, you must have a mold removal spray prepared. Nonetheless, you must only get one that is safe besides effective. That’s so you could protect your health and that of people around from further risks that harmful chemicals could bring in. 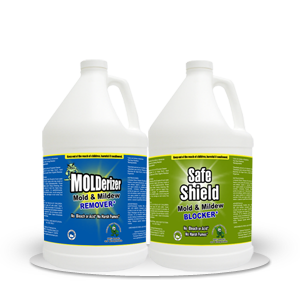 Considering that Molderizer is made with organic ingredients, it makes the best choice for the process. Not only does it kill the spores from the roots to the tips quick, it also leaves no harsh residues and odor. Moreover, if used with Safe Shield, it offers a complete remediation that helps prevent the regrowth of them. Try This Organic Mold Remover! Get a Molderizer Complimentary Sample Today!